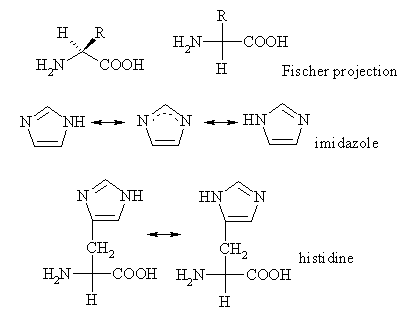 The question, whether the shape of the iron-histidine resonance Raman band of deoxymyoglobin is determined by several taxonomic protein conformational substates of the Fe-His linkage or by anharmonic intra-heme interactions, can be only answered on the basis of reliable experimental data. In our recent study (Schott et al., 2001) to which Korostishevsky et al. refer as the SDSS article, we have isolated the true band shape of the Fe-His Raman line from overlapping lines by measuring the spectra of natural abundant and Fe^sup 54^ isotopically labeled deoxy sperm whale myoglobin. The isotopic shift of the Fe-His band was then used to identify all overlapping lines, which are not assignable to the [upsilon]^sub Fe-His^ stretch and which therefore remain unaffected. By subtracting the latter from the spectra the true band shape was obtained. The band shapes of ^sup 56^Fe (natural abundant) and ^sup 54^Fe deoxymyoglobin were found to be identical within the experimental accuracy. A wavenumber difference of 1.1 cm^sup -1^ between their peak positions was obtained. These results are shown in Fig. 4 of the SDSS article, and in Fig. 1 of the article by Korostishevsky et al. To obtain difference spectra we have scaled the original Raman spectra of Fe^sup 56^ and Fe^sup 54^ to equal intensities at the maxima of the respective Fe-His lines. Subsequently these spectra were subtracted from each other. The result is shown in Fig. 1 for the two excitation wavelengths 442 nm and 413 nm, respectively. These difference spectra, which were given by us to Korostishevsky et al. clearly show that the band shape is composed of several subbands. The spectra were measured at 10 K because at that temperature shoulders can mosl clearly be identified in the isolated Fe-His band. The full lines in Fig. 1 have been calculated from the difference of the isolated spectra, as shown in Figs. 3 and 4 in the SDSS article and also in Fig. 1 of Korostishevsky et al. in this issue. They agree well with the experimental data points. It should be stressed that the experimental data displayed in Fig. 1 were obtained without any manipulation of the data, such as deconvolution techniques. The existence of such a detailed structure of the [upsilon]^sub Fe-His^ band shape cannot be explained by the anharmonic coupling model of Bitler and Stavrov (1999), which at 10 K predicts only a single line. As Korostishevsky et al. pointed out, the experimental conditions of Hirota et al. (2002) and Schott et al. (2001) were not identical, because the former authors used water/ice as solvent. The influence of the solvent is demonstrated by Fig. 2, which shows the Fe-His band in the spectra of horse deoxymyoglobin dissolved in water and in a 66% v/v glycerol/water mixture (Schott, 2002) at 10 K and 270 K. The difference between these two spectra is evident. For myoglobin in water the Fe-His band is shifted to higher wavenumbers. At 270 K the difference between the respective band shapes is less pronounced. The wavenumber difference between the maxima is 4.4 cm^sup -1^ at 10 K, whereas only 1.1 cm^sup -1^ are obtained at 270 K.
In conclusion, we emphasize that it is acceptable to question our interpretation of our experimental data. But these data have been taken with utmost care. We regard them as highly reliable. For further information and details the reader may refer to the thesis of Schott (2002), University of Bremen. Bitler, A., and S. S. Stavrov. 1999. Iron-histidine resonance Raman band of deoxyheme proteins: effects of anharmonic coupling and glass-liquid phase transition. Biophys. J. 77:2764-2776. Hirota, S., M. Mizoguchi, O. Yamauchi, and T. Kitagawa. 2002. Observation of an isotope-sensitive low-frequency Raman band specific to metmyoglobin. J. Biol. Inorg. Chem. 7:217-221. Schott, J., W. Dreybrodt, and R. Schweitzer-Stenner. 2001. The Fe-His Raman band shape of deoxymyoglobin reveals taxonomic conformational substates of the proximal linkage. Biophys. J. 81:1624-1631. Schott, J. 2002. Die Fe-His Resonanz-Ramanbande: Der Nachweis fur taxonomische Konformationssubzustande in der proximalen Bindung. PhD thesis. University of Bremen, Bremen, Germany. Available online: http://elib.suub.uni-bremen.de/FramesetElib.html. Submitted May 22, 2003, and accepted for publication October 3, 2003. Address reprint requests to Wolfgang Dreyhrodt, E-mail: drcybrod@physik.uni-bremen.de.